Applying for a credit account is not a difficult process. However, a little Credit Card Account Management advice may help. First, find out from your financial provider, what the terms and conditions are to apply. If you meet the requirements, you must submit the correct documentation. The documents must be up to date, with regard to the time frame of your request for the card. Should you succeed and get a card, you receive a limited amount of credit at your disposal. This amount is increased over time if you don’t miss any monthly payments. A credit account can help with any expenses you incur. Whether it’s small purchases like your week’s basic groceries, to an unexpected car repair bill. There are positives and negatives to owning a credit card, which is why you need to know how to manage it best. Seeing as you are not spending your money, a credit account is considered as debt. You are in fact spending “borrowed” money you have to repay. Ensure you pay back the credit amount you used to make purchases during the month. Pay your account on the specified date when the money is due. One day after means a late payment. A late payment incurs an additional fee. Know what the interest rates are on all your accounts. Be aware of any other added charges in your financial provider’s credit services. These added costs can include fees for withdrawing money or depositing cash into the account. Because banks provide a variety of credit card options, you need to be aware that each has their specified rates. You must know every detail of what your account entails, to prevent any misunderstandings and incorrect amounts paid back. Do not spend your credit limit to the max, as this is considered unwise. Only make use of the credit amount when you know you can pay the balance due at the end of the month. If you are not able to pay back the full amount, at least pay the customary percentage on the amount. The initial sum increases after the due date if you fail to pay, which leaves an undesirable mark on your credit record. After having a credit account for at least six months, you can apply for an increase in your credit limit. That is, provided your credit record is clean. Dedicated credit card account management ensures you of an excellent credit rating. 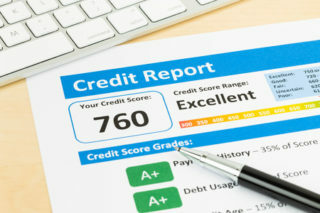 In keeping your credit card up to date and building a healthy credit record, you will be able to request a credit increase every six months after that. There is also the option of applying for a short-term loan.